We all know there is an enormous amount of information about fitness on the Internet. Too much! People who are already knowledgeable about fitness and lead a fit and healthy lifestyle may sort out through all the garbage easily and filter important information. However, novices can get caught up in all the conflicting advice and get frustrated about where they should start or what advice they should follow. It’s a real challenge nowadays. That’s what we’re here for. We are here to help you get on track and start you on the right path depending on your goals and aspirations. 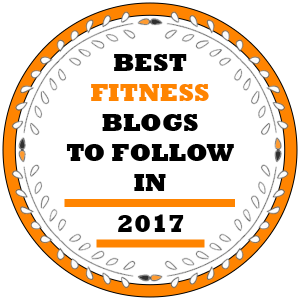 We’ve filtered through and chosen the best fitness blogs from various fitness backgrounds to help you succeed in building muscle, losing weight and getting fit. 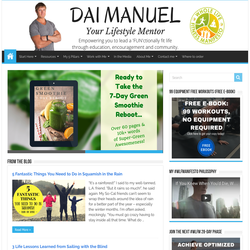 Dai Manuel is certified nutritionist and a trainer. He is known for the five key pillars: Family, Fitness, Finances, Faith and fun, which he uses as a guide to inspire and educate people on their fitness aourney an gain valuable knowledge that will help them lead a healthy lifestyle, filled with energy and free of illnesses. 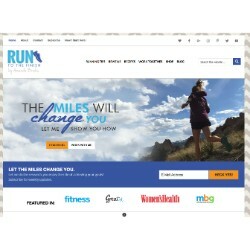 RossTraining.com was founded by Ross Enamait, a boxing coach and personal trainer. The site is about improving strength levels, conditioning for high athletic performance and overall physical development. The basic philosophy is that everyone needs a different approach when it comes to physical improvement. This site provides just that, scientifically backed advice according to your personal fitness goals, specific sport, physical history, body measurements etc., that will help you achieve the best results. The site is in the form of a blog that is regularly updated and there is also a forum where thousands of members get to discuss on various topics, and there are also some specialized instruction videos and articles. treatment of injuries in a natural way and injury prevention through various therapies, achieving a healthier and fitter life and also becoming a stronger and more athletic person. It’s called the Sock Doc because the founder Stephen Gangemi is only wearing socks or sometimes goes barefoot when working in his chiropractor’s office. He has been trained in biochemistry, acupressure meridian therapies, functional neurology, applied kinesiology, as well as dietary and lifestyle modification methods. His basic methods are determining how his patients are functioning or not functioning and then fix the underlying issues. His approach is holistic, both mental and physical. 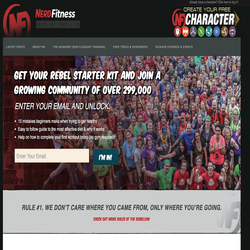 Nerdfitness is a community of misfits, fitness underdogs and bodybuilding mutants that want to help you on your fitness journey. You will learn how small changes when done deliberately and consistently can help you live a happier, healthier, fitter and more fulfilling life. Here you will find out how to exercise without having to go to the gym, learn basic clean food recipes and learn how to recover properly. Also, you’ll find mindset techniques helping you build healthy habits and change your life one step at a time. Favorite articles: 7 Emergency Hacks to Stay Healthy in the Winter ; Parents: How to Instill a Love of Fitness in Your Kids ; Am I Too Old to Get in Shape? 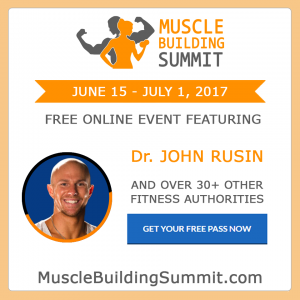 Dr. John Rusin shares his experiences and advice as a former conditioning and strength coach who has over time transitioned into the field of physical therapy and sports performance. He offers customized training programs to his diverse clientele. His main goal is to close the ever-expanding gap between elite level strength performance and conditioning and the latest advances in rehabilitation methodology for elite strength athletes and recreational fitness enthusiasts alike. He is keen on bringing a decade of advanced training experience to a fitness world full of misleading and sometimes dangerous information. Excellent source of information for athletes of various backgrounds. Here you can find training and nutrition articles about bodybuilding, powerlifting, old school training and advice for strongman competing. 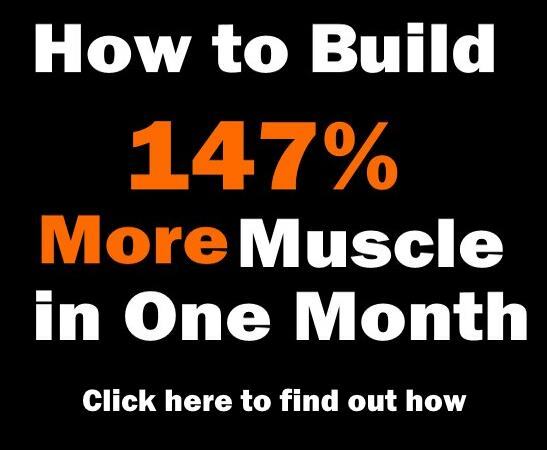 It ‘s one of the best sources of the most popular muscle building, powerlifting, powerbuilding and strength training programs, including 5×5, Texas Method, HST, HIIT, 5/3/1 and countless others. 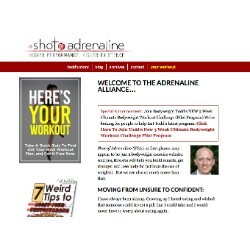 Shot of Adrenaline was founded by Todd Kuslikis and it’s a site mainly dedicated to bodyweight exercising to build muscle, get strong and shed excess body fat. Todd grew up as a skinny kid, hated eating which led him to being weak and scrawny in his younger years. He then got into martial arts, like Tai Chi, BJJ and Kenpo. In Kenpo class he started doing extreme calisthenics and it’s become lifelong obsession. His body transformation gave him confidence in other areas of life, like building an online business, finding the woman of his dreams and having a wonderful family. He believes bodyweight training is the ultimate test to self-mastery. The Fit Bottomed Girls was founded by Erin Whitehead and Jennipher Walters. They were later joined by Kristen Seymour. The side is helps women embrace themselves as who they are, and not some superwomen. They know that fitness and good health can be achieved via activities that are fun and enjoyable, that you cheat on your diet once in a while and that there is no need to endure grueling workouts to build a beautiful body. 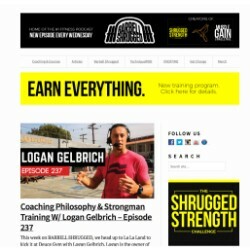 Barbell Shrugged is a site that wants to help coaches, athletes and gym owners increase their overall knowledge and dominate their respective sports. The site’s crew has years of training experience under their belts, have masters degrees in Exercise Sports Science, Kinesiology, have several CrossFit boxes, participated in weightlifting, powerlifting and CrossFit competitions and were the hosts of live seminars and training camps all over the country. 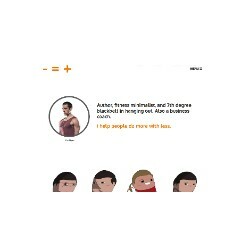 Crossfitterswil find it especially helpful since it contains all kinds of tips and tricks for them. 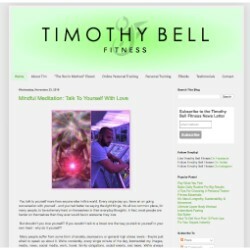 Founded by Timothy Bell, this blog offers a ton of info, tutorials and various opinions on how you can achieve the best possible shape of your life and maintain that shape, by using a peculiarly minimalistic approach to all areas of fitness. The minimalistic type of training and fitness is a specific method Tim has experimented with over the years and customized it for himself and for other people from all walks of life, with no need for a gym. He has spent his entire career training in basements, parks, balconies, living rooms etc. He has still managed to give his clients top results despite lacking gym equipment. The site was founded by Jerred Moon whose mission is to make 10,000 people better in the upcoming three years. Better means stronger, healthier, faster, smarter, more productive, less negative, helping you eat healthier foods, helping you build your own gym etc. They provide efficient methods to get more agile, stronger and fitter, various tips and tricks to make fitness closer to home, dietary tips that will help you recover from training faster and customized workout programs that will help you build the best body you can. Janae’s passion is running and she started it when she was 12. She has ran nine marathons, including Boston, NYC and the St. George marathon, as well as many half-marathons. She has gone through several injuries, personal records, cycles of low and high energy but her love of running has remained unchanged. She shares her personal stories about how running helped her improve her life. Kelly’s story made headlines when she took selfies in search of muscular guys at the New York City Half Marathon in 2004. After the passing away of her brother, she found running to be the best therapy to manage her grief. She finds running is very similar to grief, they never get easier, you just get stronger. Since then, she created her blog Run, Selfie, Repeat in order to inspire others to start running and leading a healthier lifestyle. The twins Michelle and Lori want to help you build a body that you love by inspiring through their personal stories and online coaching programs. 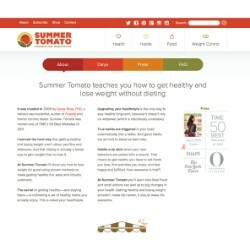 They offer help in overcoming any obstacle through empowering your mindset, customizing home workouts and giving grain-free and gluten-free recipes. Their main goal is to help you create a body with the help of a balanced lifestyle that will suit you and one you can sustain your whole life. The ultimate blog about everything you need to know about calisthenics, street workouts and training outdoors, with no gym equipment. 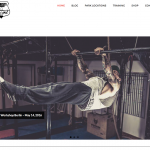 The blog is filled with different training routines designed to stimulate your entire body, warm-up sessions, workouts targeting specific muscle areas, lots of innovative and fun exercises to try out, tutorials on how to do muscle-ups, dips, back levers, body flags etc. The site features current calisthenics events and it’s even got a map of training park locations in Germany that is updated all the time. The site also has a shop for training T-shirts. Lunges and Lycra is blog for women who want to sweat, become fit and enjoy life’s pleasures. It was founded by Emma Lax and Charlotte Thomas from UK. It was launched in 2012 after they decided there was too much disinformation in women’s health magazines, the lack of information for women’s related fitness and dominance of male sports pages. Their mission was to make a blog about women who enjoy to have a hard training session with a protein shake afterwards as much as a slice of pizza and coke. 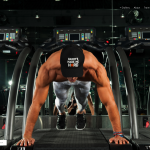 In their site they present workout programs, calls and race reviews, fitness celebrity interviews, fitness events, fitness clothes and clean food recipes. Founded by Soph from London, UK who wants to keep herself fit in any form of physical activity especially running. She is a promoter of healthy eating and what’s peculiar about her is she has a lycra addiction. During her younger years she suffered from an eating disorder and by learning more about nutrition, elevating her self-esteem by exercising and getting ton of support by her friends and family she managed to overcome it. She is passionate about telling people about the health benefits exercising can provide, both mentally and physically and she hopes to encourage as many people as she can to take up exercising. Fitness on Toast was founded by Faya Nilsson in 2013. At first, she envisioned it as a place where she can share healthy and unusual recipes with her clients, offer diet tips, help with different training program ideas and also promote ‘fitness fashion. The site has grown tremendously past that initial point thanks to her inspirational work ethic, the site’s always fresh content and its dedication to beautiful photography. Favorite article: ORGANISE YOUR GOALS! ; BENEFITS OF PULL-UPS ! 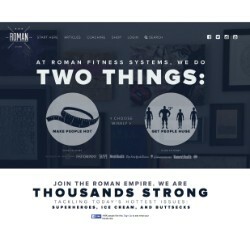 Roman Fitness Systems is a great site tailored to suit your needs. Right at the start page you get to choose whether you want to lose weight (or make you hot, as they put it) or build muscle and get people huge. It is filled with articles about nutrition, various training programs, Intermittent fasting articles, business and entrepreneurship. Catalyst Athletics is founded by a USA Weightlifting National Champion team and is the world’s biggest source of Olympic weightlifting educational material. 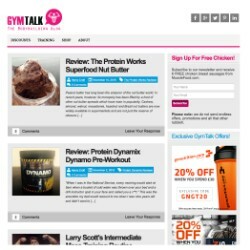 Here you will find written articles, videos, photos, training programs and the biggest online exercise library. They also provide seminars and coaching certifications both in the US and internationally. The company’s mission is to disseminate educational material as widely as possible in all forms for coaches and professional weightlifters to help them achieve peak performance. Gemma, also known as the Retro Chick is a vintage lifestyle blogger, event organizer, writer and a whiskey aficionado. She has been exercising sporadically and never really trained on a consistent basis until she took up running and Roller Derby. In 2013 she completed her first Half-marathon. She started Lipstick, Lettuce and Lycra as a space to express her ideas about dieting, healthy eating while travelling, running, exercise, sportswear and healthy alcohol consumption. It’s somewhat of a diary and a place to share tips and review health products. Founded by Jennifer Hudy from Detroit and a passionate advocate for women’s strength training. 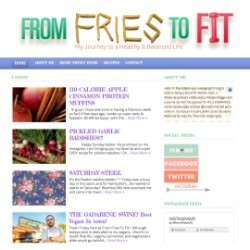 She started this blog to keep track of her training and diet progress, but it soon evolved into an electronic diary where she can reflect on her life during her fitness journey, plus to serve as a motivational tool to others where many people can find encouragement and the confidence to take up strength training and then become empowered by it. Founded by Paula Bedo, a fitness buff trying to balance her lifestyle of being a professional stylist for Román salon, a blogger on leading a fit lifestyle, an outdoor enthusiast and a wish to become a world renown chef. She has a tremendous passion for all things that enrich life and considers it a goal to make decisions that will make her smile every day and motivate and inspire others to lead a fun and happy life. Favorite article: Get this SUPER CUTE look NOW! ; LIVE FIT TRAINER 12 week TRANSFORMATION STARTS TOMORROW! Here’s how you get started!! The Fitnessista is a blog created by Gina. She shares her daily life and has filled the blog with numerous workouts like ab burners, elliptical workouts, arm builders etc., as well as food recipes for breakfast, lunch, dinner and various snacks. Her certifications include: AFAA certified group fitness instructor, NASM certified personal trainer, NASM weight loss specialist, 200-hour RYT yoga instructor and many others. 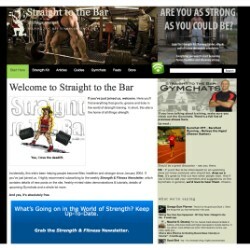 Straight to the bar is the online fitness home of bodybuilding and fitness enthusiast Scott Bird. He presents various approaches to training, basic and advanced training techniques, innovative exercises and superior exercise machines to make you as strong and big as possible. In simple terms, it is where you can find everything you need to know about strength training. Created by Mehdi from Belgium, StrongLifts has become one of the most popular beginner strength training routine on the net. It’s all about building simple and effective strength base. Its popularity is mainly due to its simplicity. Each workout consists of three exercises done three times per week, lasting less than an hour. The secret to its success is using free weights and compound exercises like the squat, deadlift, overhead press and bench press. Progressive overload is key. Increasing weight means increasing strength. Increasing strength means increased muscle mass. Eat right and you will have results in no time. ‘Spot me bro’ is one of the most humorous fitness blogs out there explaining various fitness topic in the ‘bro way’. Here you can find lots of stuff, anything related to bodybuilding programs, exercise tutorials, funny gym stories, motivational stories about remarkable people, gym etiquette, nutrition information, how to improve your hormonal status and much more. Mark’s Daily Apple was created by Mark Sisson way back in 2006. His mission is empowering his readers to become fully responsible for their own health and enrich their lives by discussing, evaluating, investigating and rethinking in a critical way all the things we take for granted or assume to be true in regards to fitness and health. Favorite article: From Adrenal Fatigue to Keto Clarity: I Now Have More Energy than I Can Handle! Favorite article: 3 Quick Fixes for Your Squat ; Core Strength – What are the Top 5 exercises? 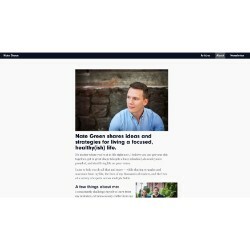 Nate Green wants to spread ideas and strategies to building a solid fitness foundation, professional success and a focused and healthy lifestyle. His aim is to help you achieve all that and mode while sharing his personal story about the ups and downs of his own life, the struggles and successes of many of his readers and the experiences of lots of experts coming from various fields. He has five core principles that he says contribute to success: building a fit body, learning how to focus on important things, investment in yourself, learning how to avoid distraction and surrounding yourself with people who understand you. Alwyn Cosgrove hails from Scotland and his fitness journey started in his youth when taking up martial arts. Afterwards, he began studying any material related to training he could find. He studied Sports Performance at West Lothian College and then received and honors degree in Sports Science from Chester College, University of Liverpool. He started with giving martial arts lessons and then proceed to giving fitness classes and has worked with all the top fitness coaches in the world as well as a versatile clientele. Lindsay is a registered nutritionist from Columbus, Ohio. 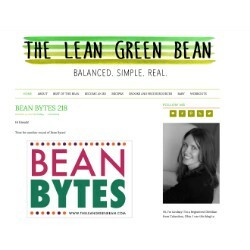 She is passionate about healthy eating and healthy living and shares it with her readers. She gives out healthy recipes, various dieting tips, tips for new moms, customized workouts and more. She believe a healthy lifestyle isn’t necessarily expensive or complicated and it’s all about bringing balance and simplicity to it. 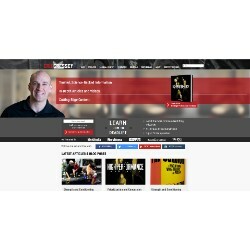 Eric Cressey is the president and co-founder of Cressey Sports Performance. He is a renowned and highly sought-after personal trainer for both healthy and injured athletes at all levels, from young ones to professional and Olympic-level athletes. He has helped them achieve highest performance levels in various sport disciplines. He is especially known for his work with baseball players, having more than 100 professionals coming to train with him during the off-season. Eric is a certified strength and conditioning specialst through the NSCA, has a master’s degree in kinesiology with a specialty in exercise science at the University of Connecticut. Rumble was founded by four entrepreneurs who wanted to shake up the group fitness world. The trainers offer cutting edge fitness education, service and hospitality which make Rumble the next generation of group fitness. Rumble Boxing offers you a workout lasting 45 minutes and 10 circuits of conditioning and full body strength training. The workout includes specially made, punching bags filled with water, accompanied by playlists that mix house music with hip-hop and musical evergreens into great mash-ups designed for Rumble. 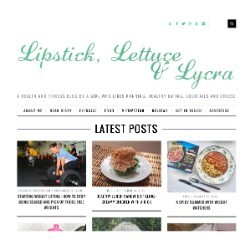 Livin3 is a stylish, engaging health and fitness blog with a great mental attitude. There are plenty of blogs out there that provide a series of workout guides, nutrition secrets and lists of the “top ten best ways to…”. However, few do so with the positivity and laid back nature of Livin3. There are plenty of articles and stories available on the site on a range of issues relating to diet, exercise and general well-being. Additionally, they are easy to browse on a quick lunch break, or when motivation is lacking. These articles are split into four distinct categories focusing on fitness, healthy living, happiness and positivity. What makes these pages even more appealing to the average reader is the human touch. This site is ready to uplift discouraged users with a great quote, motivate them through a slump with new ideas and even make them laugh with a corny joke or two. Renaissance Periodization (@rpstrength) is a diet and training consulting company providing programming for clients with a diverse background, ranging from professional athletes to everyday men and women looking to get into better shape. Renaissance Periodization has the top staff in the entire industry, including 13 PhDs, four Professors, and several world class athletes. Renaissance Periodization was founded with the understanding that science is the surest path to the truth, and in this field, to results. 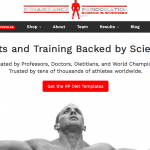 Our approach is the rigorous application of scientific principles to nutrition and training. Everything we do is built on a foundation of peer-reviewed literature and experimentally confirmed theory. Gym Junkies is a site featuring everything you want to know about bodybuilding. It features articles about building muscle, motivational articles by real people, how to develop a successful business in fitness, healthy eating, fitness apparel, reviews of products such as pre-workout supplements, protein, vitamins, minerals, amino acids, fat burners etc. NZ Fitness was founded by Niv Zinder. Niv has been into sports since he was a kid, mostly playing basketball. He joined the Israeli Army as a fitness trainer where he learned how to improve, lead and motivate soldiers to achieving peak physical performance. At the moment, he has a bootcamp class at Barry’s Bootcamp. He is a strength and conditioning trainer and his main philosophy is that high energy workout challenges motivates his clients to sculpt their ideal physiques and improve their athletic performance and health. The One X Wonder is a visual site celebrating the achievements of female athletes from all kinds of sports disciplines, at various points in their careers and their journey to ultimate performance. It was made so that it could inspire and inform people, with each article trying to explore the relationship between strength and femininity, emotional state and physical results. Articles also try to describe their training regimen and overall physical preparedness, in order to portray the struggle and sacrifice it takes to achieve high sporting levels. Jeanette Jenkins is one of the most renowned health and fitness professional in Hollywood with over 25 years of experience. She is the founder and President of The Hollywood Trainer LLC, author of The Hollywood Trainer Weight-Loss Planand has also created “The Hollywood Trainer Club, which is actually an online weight-loss club promoting healthy living with lots of advice on how to get in shape and maintain healthy habits for the rest of your life. She has studied human kinetics at the University of Ottawa and has more than 18 internationally recognized certificates in nutrition and training. Jay Cardiello is a leading figure in the health and fitness industry, respected by fitness and medical communities alike. He uses his many years of experience and knowledge of nutritional science, sport medicine and motivational speaking and listening to help his clients achieve a single goal, which is to improve the overall quality of your life and he does that by making it fun, enjoyable and in small steps. Founded by Petra who believes in a holistic approach to maintaining good health. And not just health, but also eating healthy foods, training and good dietary habits. The site also promotes living in a natural way by avoiding toxins in our modern food and choosing organic foods whenever and wherever possible and avoiding pollution in any form. It’s also about managing stress and keeping your mind healthy. Jenn Mitchel has lost over 50 pounds after her pregnancy and rebounded from post-partum depression twice and has since become a successful personal coach and blogger. She had an injury in 2011, after which her depression and anxiety returned. She again gained 20 lbs., stopped training and blogging. She did not manage to get out of her depression for a year. With the help of a therapist she got back on the path to happiness and a healthy lifestyle. 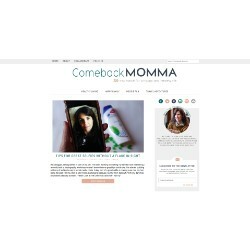 She created Comeback Momma to help women be the best version of themselves, best wives and best mothers. She enjoys travel, meeting people, watching movies, hiking, photography and spending time with her kids. Lauren Fleshman has been a runner since she was 13 and 80-pounds scrawny tomboy. She’s won state and USA Championships, NCAA titles and ranked as 7th in the world. She wants to compete professionally as long as she can and beat people much younger than her, set personal records, have fun and write about it. She believes if you dream big, success will come with hard work, despite lots of injuries, screw ups and sometimes just bad luck. Her motto is to keep fighting, adapting and learning and you will be victorious. Favorite article: How to Bounce Back from a Bad Race (like a Badass) ; How do I Increase Mileage Without Burning Out? Dorothy Beal has run 32 marathons since 2003. She is a certified Road Runners Club of America and USATF Level 1 certified running coach.In 2012 she was featured in the Saucony Find Your Strong Ad Campaign and won the Women’s Running Magazine Cover Model Contest. In 2014 she was featured on the cover of Competitor Magazine. She is also a freelance writer, blogger, social media contributor and speaking at race events all over the country. Tony Gentilcore is a conditioning and strength coach through the NSCA and has co-founded Cressey Performance in Hudson, Massachusetts, which is one of the best training facilities in the US. Tony got his bachelor’s degree in Health Education with a specialization in Health and Wellness Promotion at the State University of NY at Cortland. He has been a renowned strength coach, writer and presenter for more than a decade and is a regular writer for Livestrong, T-Nation, Greatist, Women’s Health and Men’s Health. Steve and Bonnie Pfiester, “The Dynamic Duo”, are known to approach fitness in a refreshingly relatable, honest and innovative way. They are certified personal trainers and have been working as such for nearly 22 years of marriage. They share their own struggles, workout programs, delicious recipes and years of experience in order to help other people. If you are lookinf for a new training program or just a genuine motivation to train harder, you can get a fresh daily dose on their site. Fit Girls Diary was created by Monica May. She has taken up fitness 5 years ago and started her weight loss journey and hasn’t stopped ever since. She had a great trainer who inspired her to become one and now her mission is to help other girls lead healthy and fit lives. She makes her own customized training programs for her clients. Her philosophy is discipline, consistency and dedication and you will be well on your way to building an awesome physique. Susan Aruda has a training experience of over 35 years. She is a six-time Figure/Fitness winner and has a PRO status in two designations. She is a model, author, fitness and swimming instructor, personal trainer and a certified lifeguard. She tries to maintain an high fitness level throughout the entire year and knows no “off-season”. She strives for courage, strength, emotional stability and independence for women, beyond the roles of a mother, wife or a partner. NegharFonooni teaches women body-love and life enrichment. She has worked as a fitness coach and a personal trainer for over 15 years. She is also a motivational speaker and a writer whose mission is to aid women become their best selves. That means leading an authentic life, having a sense of self-ownership and self-love. The site offers a mix of fitness advice, mindset training, mindfulness advice, feminism and overall lifestyle guidance. Amanda C. Brooks has always had a passion for physical activity, but that was not always the case. She didn’t even think that one day she would give advice about running and nutrition. She is sharing her personal story, clean food recipes, workout programs, running tips, interviews with various experts, motivational, travel and adventure articles. She offers advice to runners about clean eating, developing healthy habits, developing patience and mental toughness. Nia Shanks is a coach and a writer. She wants to help women reach their full potential by giving them an empowering attitude to fitness, health and life and she does that first and foremost by strength training. She also hosts a podcast about fitness and health goals. 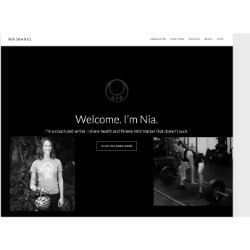 Nia’s main philosophy is based on simple and sane nutrition and strength training principles, which are proven to be the best way to maintain your goals throughout your entire life. Dani Stevens is a fitness, health and food motivator with a passion for a happy and a healthy life. Her main goal is to give fitness inspiration and motivation to pursue your fitness goals or whatever it is that you love. Through her site she wants to show people what the balance between taking care of your health, fitness regime and lifestyle should be. She is driven by positivity which she says is all we need to achieve great things. Suzanne Digre founded Workout Nirvana in order to show how the power of strength training and clean eating can form an unshakable foundation of self-confidence in all aspects of life. She has 6 rules she lives by: practice strength training which will give you a sense of power and peace, you’re more powerful than you know, always choose clean nutrient-dense foods, weight loss is based on an overall lifestyle change, take small steps to get big results and always maintain a positive mindset. 12 Minute Athlete is HIIT (High Intensity Interval Training) training program comprised of very short but effective training sessions primarily based on calisthenics, cross-training and fitness focused on functional training. The four basic principles are that you don’t need to stay for hours in the gym to build a nice physique, you don’t need lots of machines to train on, nutrition is key but you should not obsess over it and that the key to maintaining fitness is belief in yourself. Cassey Ho is a fitness instructor that has received many fitness awards, an entrepreneur and fitness celebrity living in Los Angeles, California. She created Blogilates, the number one YouTube fitness channel whose videos have been viewed more than 300 million times with over 3 million subscribers. Being a certified group fitness instructor, as well as pilates teacher Cassey has continued motivating people to exercise and eat right for a decade. Favorite article: The Best Time to Stretch? Bedtime! ; Should you workout when you’re sick? Lisa was a personal and group fitness instructor and marathon runner before she had kids. She started this blog about fitness and health for moms in 2007. She knows that being a mom is a stressful 24/7 job requiring to take care of someone other than yourself. Even though she knows it’s an immense challenge, her mission is to help mothers how to find time to exercise and stay healthy. Created by Darya Rose, a trained neuroscientist, author of Foodist. 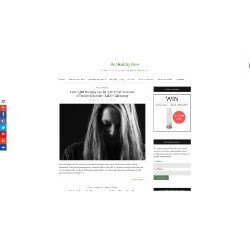 Named one of TIME’s 50 Best Websites of 2011. Darya shows you how to lose weight using tested methods while making the process easier and fun. Her philosophy is that in order to stay healthy you need to maintain a set of healthy habits that you won’t find tiresome and actually enjoy. You will find out how clean food and small dietary changes can accumulate to big changes in your health. Carly Rowena is a personal trainer and this is her personal blog about fitness. She is the typical next-door girl who isn’t so strict with her diet and finds it best to achieve balance in your fitness pursuit as well as your diet in order to feel happy and content in your own skin. She advises regular exercise 2-4 times per week with both cardio and strength training sessions and also offers clients customized workout programs. Gym Flow100 is a source of the best collection of information on fitness and healthy lifestyle. It offers the latest trends in fitness, dieting, training programs, advice on gym equipment and a lot more. Regardless of your goals, whether it be weight loss, running a marathon, building muscle or strength, you will find a lot help getting there on this blog. Gym-Talk is meant to serve as a cure to the endless list of bodybuilding and fitness websites that give an outright wrong advice and make false claims about everything fitness related. Besides the usual “boring stuff” like reviewing supplements, training program articles, bro-science and diet tips, you will find a rather easygoing, light-hearted and humorous approach to fitness, with the occasional f-bomb, to put fear into the hearts of the politically correct. A joke, of course. The site was founded by Tatianna from Moscow, Russia. She is a former professional figure skater and a certified personal trainer. 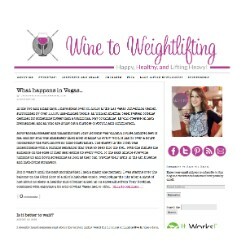 LovingFit is a lifestyle blog where Tatianna combines creativity and fitness and tries to make nutrition simpler. She thinks that beauty should not be about the physical aspect only, but an equal combination of a rich and noble inner world and your outward appearance. Pat Flynn offers his help on many topics: business advice, professional writing and exercising, in which he has found professional success and also dabbles in art and music. He employs minimalist principles in his training and is a published author of three “For Dummies” books. He has worked with both Olympic athletes and recreational lifters and offers online coaching and consulting services for those interested in becoming fitter and those wanting to develop their online business. Breaking Muscle is the ultimate source on the latest findings in sports science, as well as workouts designed for strongmen, powerlifters, sprinters, Olympic lifters, rehab and conditioning advice, healthy nutrition, various product reviews and interviews with some of the most accomplished professionals in the fitness world. Born Fitness was born out of frustration. The frustration caused by too much conflicting fitness information on the net, too many conflicting ideas and too much bad advice promising unreal results. Founded by Adam Bornstein who left a good paid, high-ranking job in a famous fitness brand to develop the site with a mission to simplify the information and clear up the fog while enriching you with knowledge to make your life healthier. It could be one or it could be more, it’s entirely up to you. There is no way we could cover all of them, and it goes without saying that there are lots of other blogs out there that are just as good. 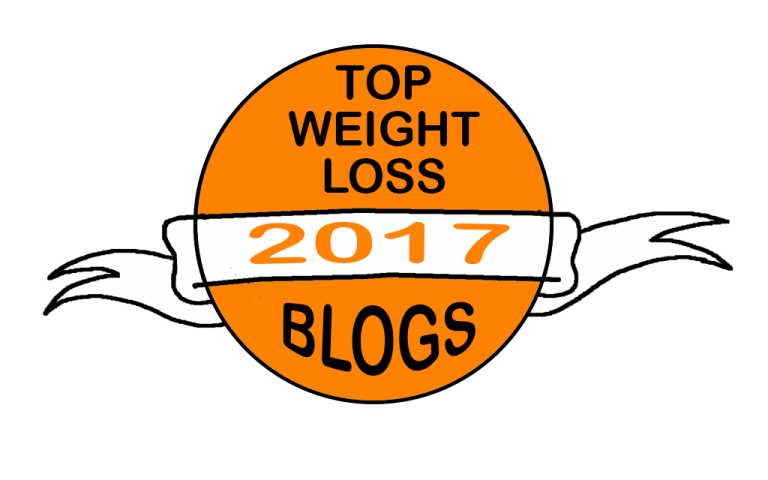 However, the 60 blogs we presented to you above can help you in lots of ways you would have had trouble finding on your own, which will ultimately help you lead a fit and a healthier lifestyle. So, find some time to check them out and consume the knowledge and experience contained in them. We’ll be glad if you manage to reach your goals with some of these fitness blogs, that would make our effort even sweeter. 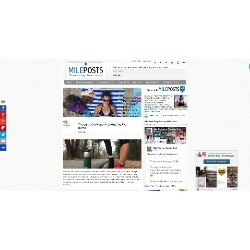 Best Fitness blog . I Love it. I am a blogger specializing in body and personal health, how can I collaborate and contribute articles on your site? I have been following your website for quite some time and the information is absolutely useful.